EOTech's Model 512 is a popular holographic weapon sight. 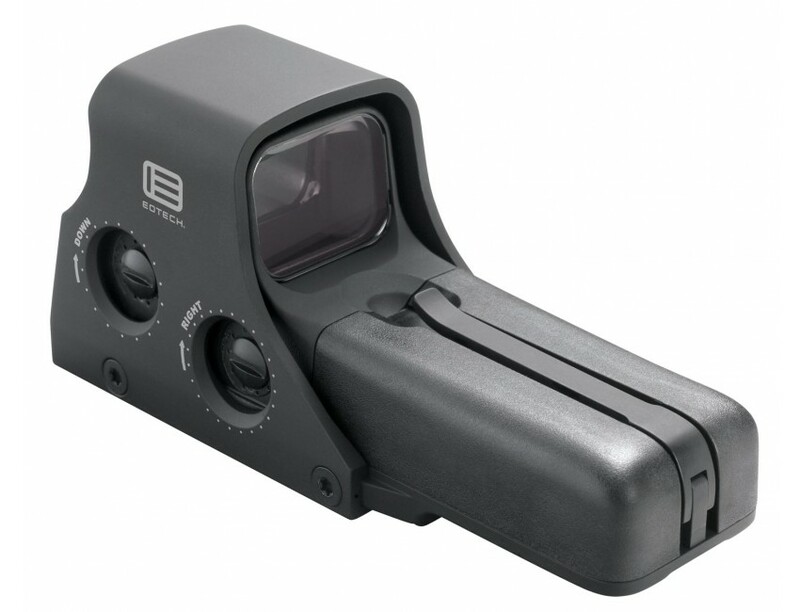 This tactical optic is perfect for agencies that want the best in CQB speed and versatility without the need for night vision compatibility. It requires two AA batteries (lithium, alkaline, or rechargeable) and features a 68 MOA circular reticle with a 1 MOA aiming dot. The rugged aluminum hood assembly and knobbed, tool-less mounting bolt easily interface with a 1" Picatinny (MIL-STD 1913) or Weaver rail. This model has a black finish.